Princeton New Jersey » AW Martin Construction, Inc.
Princeton is a small city in central New Jersey. It is located in Mercer County and composes approximately 18 square miles of land. 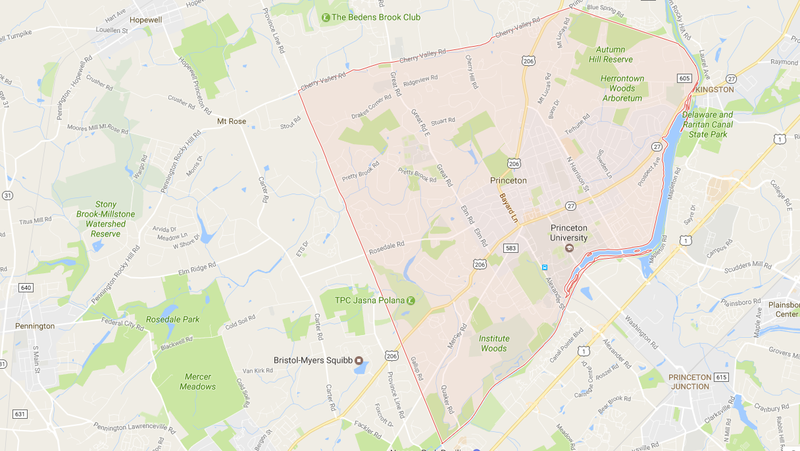 The town borders Hopewell, Lawrence, West Windsor, Plainsboro, South Brunswick, Middlesex, and Montgomery. Although founded prior to the American Revolution, its current form was established on January 1, 2013, through the consolidation of the Borough of Princeton and Princeton Township. According to the 2010 Census, it had a population of around 29,000 residents. Princeton is home to one of the best colleges in the world, Princeton University. Westminster Choir College and the Princeton Theological Seminary are also located within its borders. The main throughway, Nassau Street, hosts a number of shops, restaurants, and businesses. Other notable landmarks include Palmer Square and the Princeton Battlefield. The town is served by both Public Schools and a number of prep schools giving residents a plethora of education options. In addition, a new public library was built in 2004. The “President’s House” was completed in 1756 and is a U.S. National Historic Landmark. The governor of New Jersey’s official residence has been in town since 1945. There are a number of high profile companies located within the boundries due to its educational wealth and proximity to both New York City and Philadelphia. Furthermore, the city has a train station that connects to the nearby Princeton Junction train station and serves the Northeast Corridor Line. This gives residents unprecedented access to New York City. Princeton is bisected by Route 206 which runs north and south, and Route 27 which runs east and west. Route 1 lies just to the south of municipality. Many of the commercial areas lie along these major roadways. The town has its own airport and is surrounded by the Trenton Regional Airport, Newark Airport, and Philadelphia Airport which serve much broader destinations. Some notable commercial landmarks include Winberie’s Mediterra, and The Bent Spoon in Palmer Square. Triumph Brewing Company, Thomas Sweet Ice Cream, Hoagie Haven, and the Ivy Inn along Nassau Street. The Princeton Shopping Center is located along Harrison Street and hosts a Rite Aid, McCaffrey’s supermarket, and New York Sports Club among other attractions. There are a number of medical buildings just north of this location providing health services to residents throughout the region. A number of movies have been filmed in this historic location including IQ, Across the Universe, Transformers, and many others. The town is also home to McCarter Theater giving residents a taste of live acting. Richard Stockton: Attorney, First land donor to Princeton University, and signer of the Declaration of Independence. John Knox Witherspoon: The “President’s House” (a National Historic Landmark in Princeton) was his former residence, and among many other achievements he was also a signer of the Declaration of Independence.